If you’re an espresso lover and you want to make your own cup of espresso wherever you are – at work, at a friend’s house,wherever – you’ll love the Handpresso Wild Hybrid French Press. 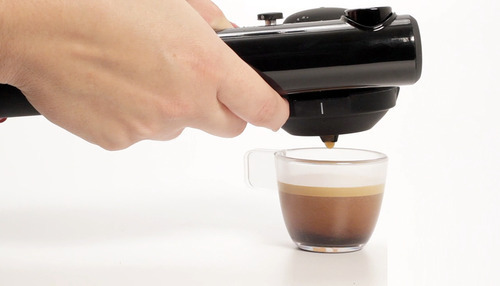 The Handpresso Press is a easy, small device that you can carry around everywhere. Just place your favorite coffee in the space built for it, pour in some water and apply pressure with the built-in pump. It’s so easy!